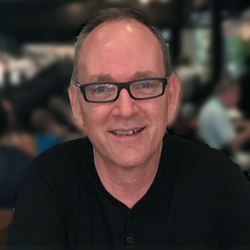 Steve McCoy has been in the ministry for 35 years and is the Lead Pastor of The 360 Church in Sarasota, Florida, a church he planted 10 years ago. Impacted by the Vision Frame, God Dreams, and Leadership Pipeline Development processes of Auxano, 360 has grown from a launch team of 8 to a church of 700 with a laser-focused strategy that centers on building a culture of one-to-one relationships with a vision that is designed to invigorate Christianity in the U.S. by exporting the one-to-one culture. In addition to graduating from Southern Seminary, Steve also has a Doctorate degree in Piano Performance, coming to faith in Christ during the pursuit of becoming a concert pianist. His 25 years of piano lessons naturally embedded an appreciation for the impact of the one-to-one dynamic that is so often missing in the church culture.